After driving on race tracks, bashing dunes, sky diving and generally doing anything that raises the blood pressure, my next big adrenaline driven adventure will be diving with sharks…..inspired by none other than Michael Rutzen, who is known as one of the few people in the world who free-dives with Great White Sharks and campaigns for their preservation around the world. Mike Rutzen is sweet, down to earth and if you love the marine world as much as I do being an Island girl, watch Mike’s travels and activities which are extensively documented on TV programmes including ‘Beyond Fear’ with National Geographic, ‘Sharkman’ and ‘Shark Night’ on Discovery Channel, ‘60 Minutes special’ with Anderson Cooper, ‘The Great White Shark’ on CNN and ‘A Living Legend’ on BBC Natural World. Mike has been face to face with one of the greatest predators in the world, with no protection and no fear! 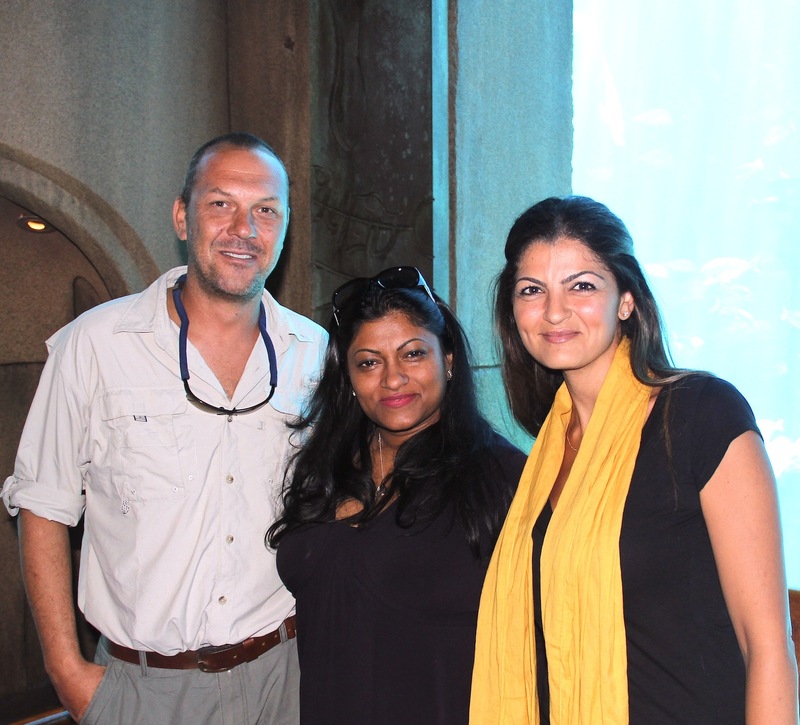 I hope someday I also get to spend some time with Steve Kaiser of the Marine Sciences and Engineering team at Atlantis – I believe he works hard to provide education to the masses about sharks through a number of activities including the thrilling Shark Dive in the Shark Lagoon at Atlantis. It would also be great to talk more about Rima and her work on marine conservation and I reckon that will be a whole new blog on its own…watch this space. Guests to the next Lost Chambers ‘Family Fun Day’ will be able to meet Michael Rutzen and hear him speak about Shark Conservation. Other Atlantis activities include special educational sessions with marine animal specialists, interaction with the Atlantis scuba divers, touch and feel marine exhibits, face painting, treasure hunts etc. You can also meet ‘Shark Man’ Mike face to face as he will describe tales of his adventures diving and protecting sharks around the globe on Saturday. In his talk “The Great White Shark Carcharodon Carcharias – Behaviour and Conservation,” He will tell stories about diving with sharks; his free-diving and behavioural observations; eco-tourism as a winning solution and his research and future projects. I warn you though…Mike is so passionate about his work, the enthusiasm rubs off on you and like me, you will find yourself navigating the high seas in no time! Thanks to the awesome team at Atlantis who always have interesting activities lined up at The Lost Chambers for kids like little diva @NJD2000, we as adults also end up learning about environment, conservation in a beautiful setting like Atlantis. I am starting diving courses with Al Boom next month when my traumatised left arm is back in action so I can do the shark dive at Atlantis – super excited. (And no…the arm was not traumatised flipping the car on a race track as all my near and dear ones seem to think).